CITO MERCH: (https://bit.ly/2WyegBK). Coachella weekend 2 recap (9:32-17:17). Danny Amnendola/Olivia Culpo/Zedd (19:11-30:20). 'Game of Thrones' Episode 2 recap (30:50-57:24). The #FreeBritney movement (57:52-1:18:30). 1 day away from new Taylor Swift music (1:21:01-1:28:38). Justin Bieber went after Morgan Stewart on Twitter (1:29:26-1:37:55). 'Vanderpump Rules' recap (1:38:17-1:52:58). Interview with Taylor Schilling – talking her new movie 'Family' and filming the final season of 'Orange Is the New Black' (1:55:39-2:18:54). Follow us on Instagram @chicksintheoffice and on Twitter @chicksintheoff. CITO MERCH: (https://bit.ly/2WyegBK). Fran's tanning experience/singing ability (2:28-8:24). 'Woah! Did I Just Send That?' reading the best submitted text mishap of the week (DM us yours!) [10:02-13:32]. Beyoncé's Coachella documentary (16:21-32:18). Sophie Turner opened up about her struggles with depression (32:56-48:05). Our thoughts on Noah Centineo's new movie 'The Perfect Date' (48:29-56:33). Hailey Bieber trademarked 'Bieber Beauty' (58:49-1:04:00). Kim Kardashian's sink (1:04:59-1:10:33). Josh Lucas talked about a possible 'Sweet Home Alabama' sequel (1:12:23-1:18:53). Lil Dicky's new song/video 'Earth' was released (1:19:22-1:25:48). Countdown to new Taylor Swift music (1:28:32-1:38:47). Interview with Bob Saget – talking behind the scenes of Full House, love triangle with John Mayer & John Stamos, his new film 'Benjamin' + we get an in person Danny Tanner lesson (1:39:34-2:07:16). 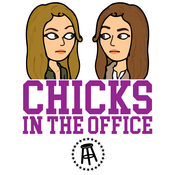 Follow us on Instagram @chicksintheoffice and on Twitter @chicksintheoff.